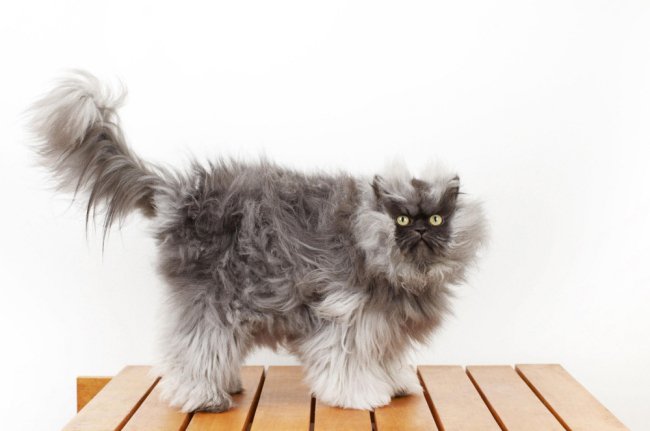 Meet Colonel Meow, the cat with the longest fur on the planet. 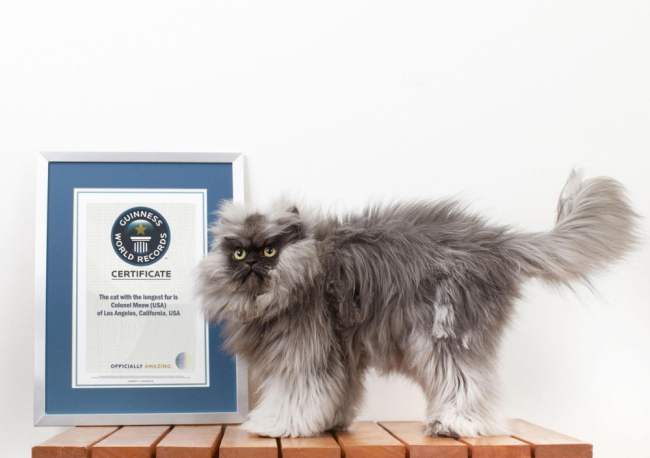 Colonel Meow with his world record. Colonel Meow, the cat with the longest fur on the planet, has had his extraordinary coat recognised by Guinness World Records. The Himalayan-Persian cross was presented with the award for his ‘epic’ 23cm-long (9in) coat. The two-year-old feline is expected to celebrate his achievement with his owners Anne Marie Avey and Eric Rosario, at their home in Los Angeles. The couple adopted Colonel Meow from a rescue centre and now have to brush his fur 2-3 times a week. ‘Everything in the house has hair on it, including us,’ Anne said. Colonel Meow is already something of an internet sensation with his own website, Facebook page and YouTube channel, which has racked up over 2million views. I'm not sure why I'm posting this story, I mean, it's not very interesting, it's just a cat with long hair. Nevertheless, Colonel Meow is all over the internet so I thought I'd share it. He looks so very serious.